I was lucky enough to receive a charm square bundle of the gorgeous new collection 'Stile', so I picked out the most festive colours and started cutting! Soon it turned into a basic 4-patch star design, top it off with some sweet candy cane binding and voila! beautiful! what a cute decoration! A great decoration and one that can hang around all year round. Have a very Merry Christmas! 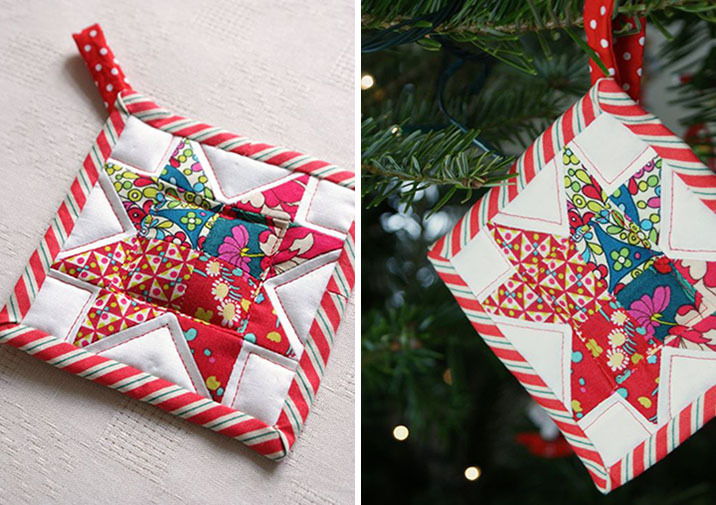 what a super cute patchwork star ornament!! I must make one now to add to my tree before Christmas!! Thanks for doing a tutorial! I hopped on over and checked it out and it looks fabulous!! Fabulous pretty tree ornament, will have to make some for next year.